Things to do this weekend is sponsored by The Postal Museum. 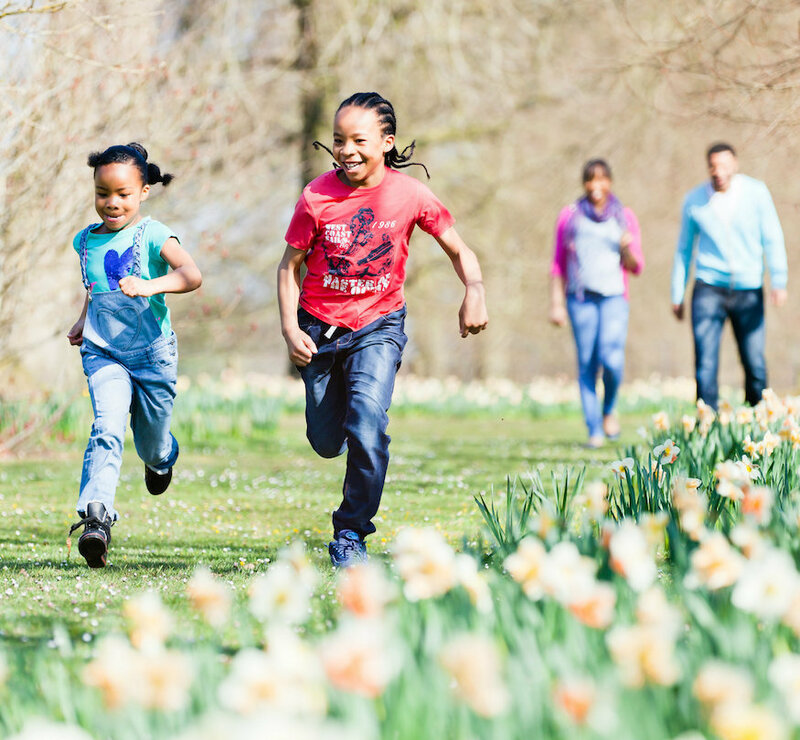 At Morden Hall Park's Cadbury Easter Egg Hunt you'll search the park for clues about different animals that will lead you to Bunny's secret stash of chocolate. BANK HOLIDAY: To make the most of the long weekend, check out our guide to spending the bank holiday weekend in London. From walk and cycle routes, to little-known attractions you probably haven't been to, we've plenty of ideas, whatever the weather and whatever your budget. SCHOOL HOLIDAYS: This is just one weekend in a fortnight (at least) of school holidays. If you're looking for ways to keep the kids amused, take a look at our guide to Easter holiday events. From exhibitions to afternoon tea, and lambs to butterflies, it's all in there. GOLDEN SURPRISE: Travel with Addison Lee this Easter, and it might turn into your lucky weekend. The global transport provider has hidden a golden egg in 10 of its London vehicles. If you find one on your ride, get your selfie face on and share a snap with @AddisonLeeCabs on Instagram or Twitter, using the hashtag #EggsplorewithAddLee — your snap could win you flights to New York. More information and T&Cs here. Eggs hidden 29 March-2 April (winner drawn on 4 April). Calling all parents! Looking for imaginative family activities over the Easter holidays? The Postal Museum in Clerkenwell should be your first port of call. 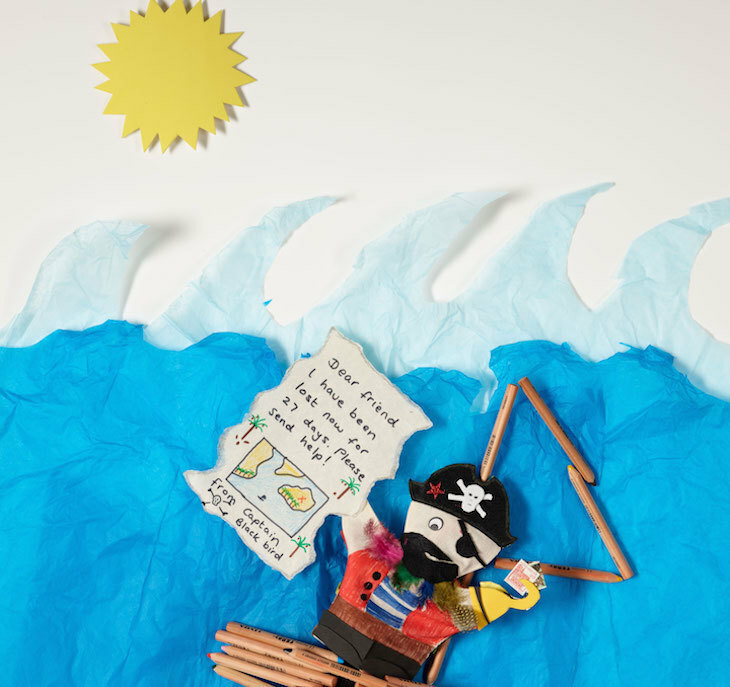 Book now for a flotilla of fun and fascinating workshops. 3 April: STORYTELLING. Meet the mermaids who dream of a life on land, having read snippets from this other world. 5 April: CREATIVE PLAY. Create a message in a bottle to send across the ocean. 7 April: STORYTELLING. Meet Captain William Rogers, and hear how he fought off pirates to save the mail. 7 April: TREASURE HUNT. Collect the pirate treasure map and track down the chocolatey booty. 10 April: CRAFTING. Visit the new Voices From the Deep exhibition, then create your own treasures from clay. 12 April: CRAFTING. Make a keyring, magnet or badge inspired by the sea life of stamps. Events are inspired by the Voices From the Deep exhibition, which explores salvaged letters that spent 70 years on the sea bed. For event times and booking information, see The Postal Museum’s Easter Holidays website. 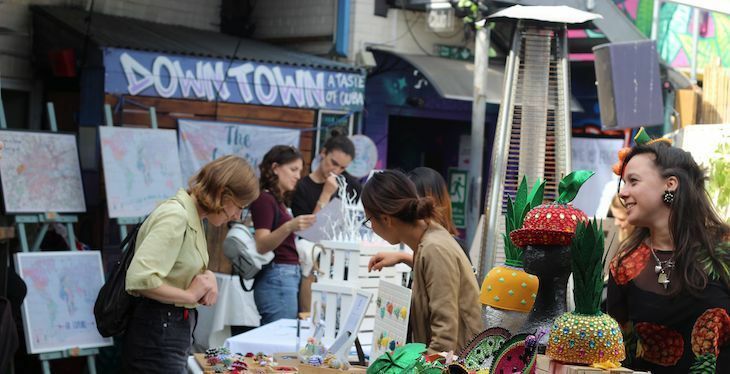 Expect creative workshops and live music from brilliant local musicians at Balham Easter Market. 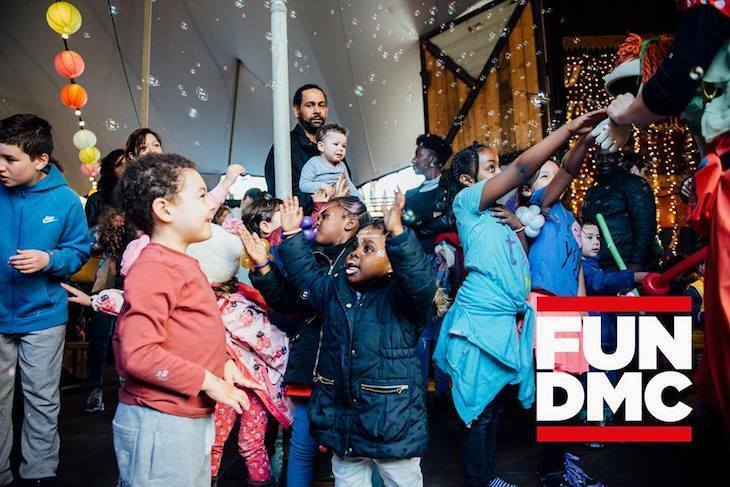 Pop Brixton's party will see Fun DMC appear at Pop for the very first time with their infamous Hip Hop party for kids.